Vulnerability and resilience are important ideas that are conceptualized in many different ways by researchers studying disaster risk reduction and climate change adaptation. Four main conceptualizations of vulnerability in the literature include vulnerability as a threshold, as exposure to hazards, as a pre-existing condition, and as an outcome. Three main conceptualizations of resilience are resilience as resistance, as recovery, and as creative transformation. This study investigates how local practitioners in Metro Vancouver municipalities perceive and apply these concepts to reduce risk and adapt to flood hazards. 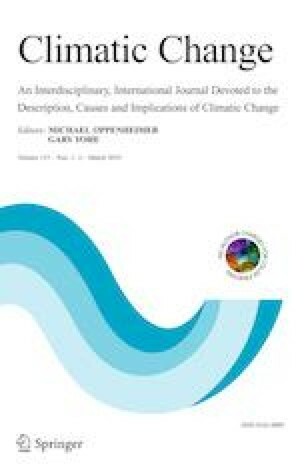 Results from focus groups and surveys of practitioners find that the conceptualizations of vulnerability and resilience perceived as most valuable are often not applied in local risk reduction and adaptation efforts. Participants’ interpretations of how vulnerability and resilience concepts are applied to four main adaptation strategies—protect, accommodate, avoid, and retreat—reveal nuanced and complex challenges at the intersection of where theory meets practice. As currently operationalized, vulnerability and resilience appear unlikely to lead to anything more than incremental adaptation. The authors thank the participants of the focus group for contributing their time and expertise to the study. The editor and reviewers provided valuable comments that helped improve the manuscript. This study was conducted as part of the Coastal Cities at Risk project, funded by Canada’s International Research Initiative on Adaptation to Climate Change (IRIACC). Managed by the International Development Research Centre (IDRC), IRIACC is the result of a unique funding collaboration between IDRC, the Social Sciences and Humanities Research Council of Canada (SSHRC), the Natural Sciences and Engineering Research Council of Canada (NSERC), and the Canadian Institutes of Health Research (CIHR).